Marci DuPraw, Ph.D., doctoral graduate from NSU’s College of Arts, Humanities, and Social Sciences (CAHSS), was named Senior Program Manager at the US Institute for Environmental Conflict Resolution (US Institute). Congress established the US Institute in 1998 to provide impartial consensus-building, collaboration, and conflict resolution services. One of the projects DuPraw will be working on is managing the Institute’s support for a very large, landscape-scale collaboration (the Missouri River Recovery process). Previously DuPraw was a Senior Mediator/Senior Facilitator at the Center for Collaborative Policy in Sacramento. She was the Senior Mediator/Senior Director for Kearns & West, Inc., in Portland, Oregon and the Senior Facilitator and Mediator for SRA International, Inc., in Arlington, VA. 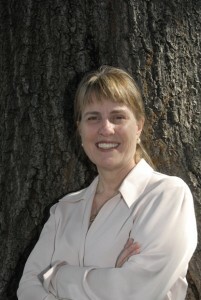 In 2011, DuPraw was the recipient of the Association for Conflict Resolution’s Sharon M. Pickett Award for achievement in environmental protection using alternative dispute resolution. In addition to her doctoral degree in Conflict Analysis and Resolution from the Department of Conflict Resolution Studies (DCRS), DuPraw completed a Graduate Certificate in Qualitative Research from the Department of Multidisciplinary Studies (DMS). She earned her B.S. in Environmental Studies from the University of California, and her M.S. in Natural Resource Policy, Economics and Management from the University of Michigan. DuPraw has been an adjunct faculty member in DCRS and DMS.